Remember a month or so ago when I told you about my new baby (my new DSLR camera – Canon Rebel T1i)? Well, I have seen a gazillion cute camera straps around the internet lately and I thought “I want one!”. So today I decided to make myself one for my new camera. I’ve seen a lot of great tutorials, but nothing was exactly what I was looking for, so I just decided to go for it and make my up my own little design with a little inspiration from here and there. 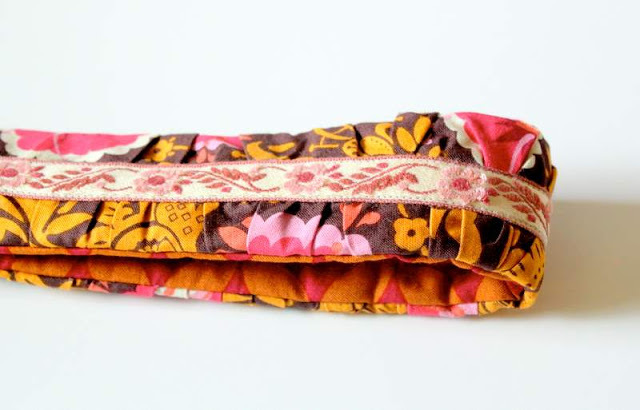 I used fabric from designer Anna Maria Horner. When I was first introduced to this designer I was not initially won over by her work (sorry to say), but now I LOVE it! I guess it’s grown on me – I love the eclectic mix of patterns she uses with vintage, geometrics and florals. 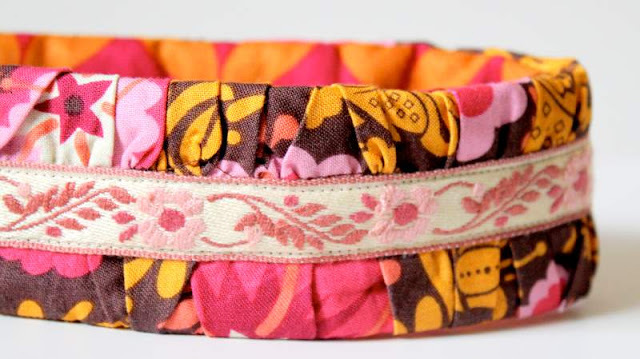 I used a piece of woven trim that I purchased at a very old local fabric store. I don’t know if it is vintage or not, but it’s old and I just loved its charm. I wanted my camera strap to be slightly padded so I added some fusible fleece to the under-side. I’m very happy with the amount of padding this gives the strap cover – not too much, not too little. 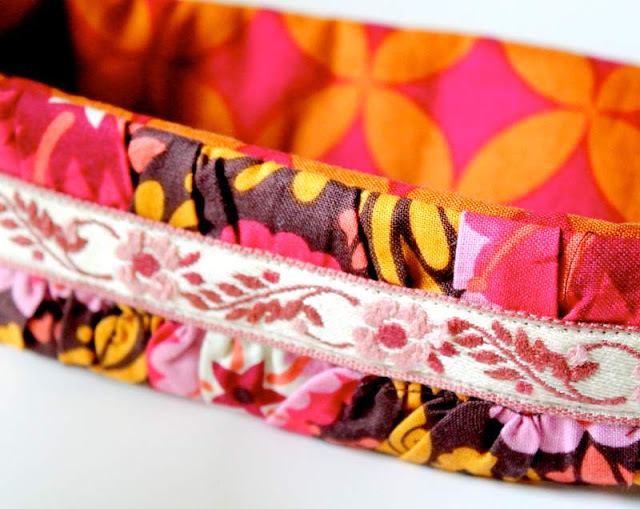 I used a gathering stitch on the top layer (don’t worry if you don’t know what that means, I promise to cover that in my “Sew Basics” series) and stitched the ribbon down the center of the ruffle. I then sewed the top layer to the bottom layer (right-sides together) and turn it right-side out to reveal the completed camera strap cover. 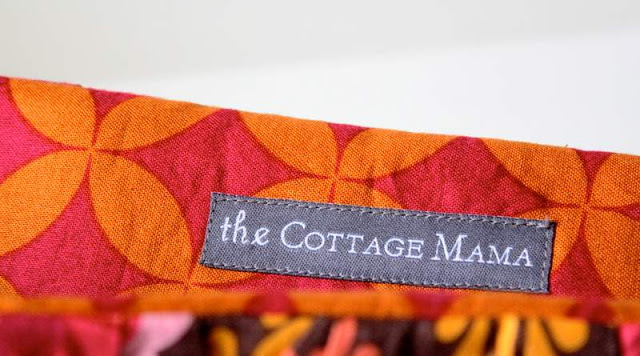 On the inside I stitched in my label – The Cottage Mama. It’s so fun to have your own labels! Even if you don’t sell the things you make, I highly recommend purchasing some for any of the gifts you give or the clothes you make. I feel so proud when I see my girls wearing “The Cottage Mama”. And there’s me – “hi there!” sporting my new, hip camera strap cover. 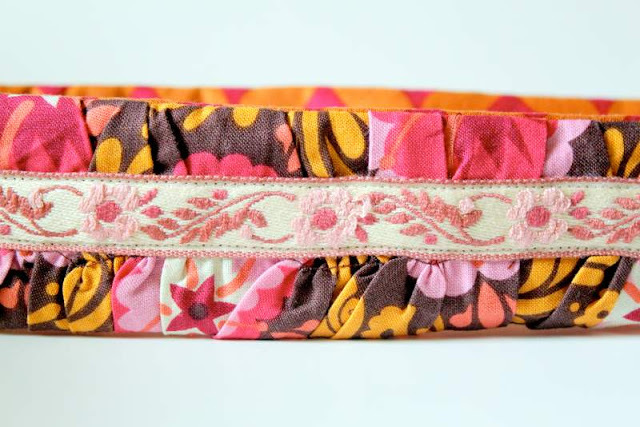 I designed, cut, and finished this camera strap during naptime today, so it sewed up pretty quick. If you have a boring camera strap right now, why not take a little time to make yourself something special, I’m sure you deserve it!! 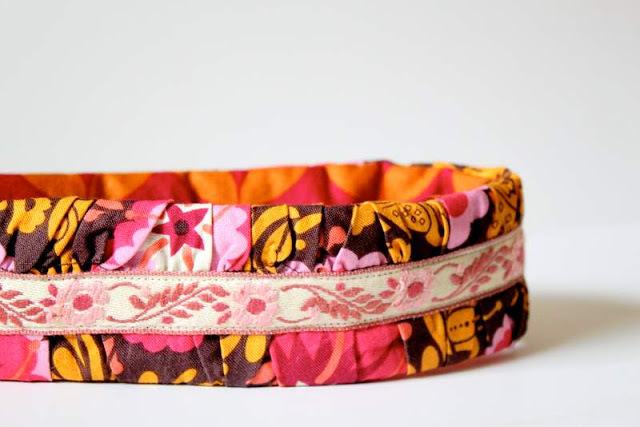 Cottage Mama’s Note: Since there are so many tutorials out there on making camera straps, I figured I would just kind of tell you what I did. If you have any questions about how I made mine or if you would like a tutorial just leave me a comment or email me ([email protected]). Love the strap! Did you do one gathering stitch down the middle or did you do two that are a little but apart??? Hope I am making sense. Where did you get your labels? Love how “simple” they are! Wow, you are talented – it looks great! And you did a terrific job on your pillow in the previous post too! Yay for tutorials!!! Yes, please! 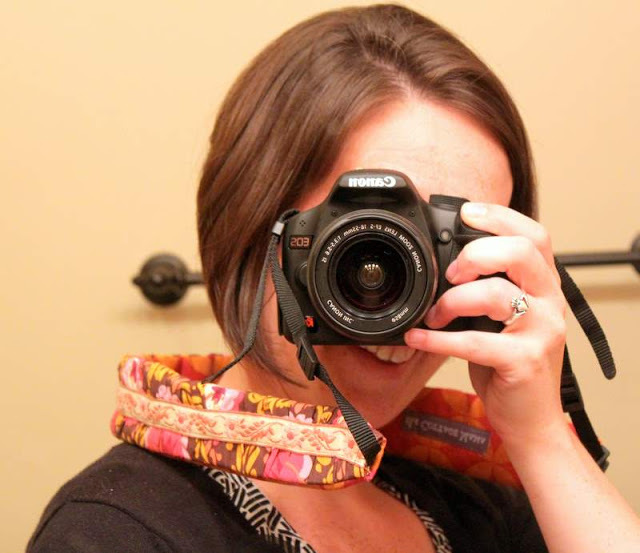 Love the camera strap – and it is perfect for a Canon! Thanks for sharing! Love it!!! Cute without being too much. THanks for sharing! I love it! It’s just right. Funny, I had the exact same reaction to Anna Maria’s fabrics. But, now I’m head over heels for her. Go figure! gave you an award at my blog! Love it! Great job. I’m a VERY beginner sewer. I would LOVE a tutorial! Thanks! Please do a tutorial! I’d love to make this as a gift for a friend, but don’t know how to do a gathered stitch and would love some kind of basic pattern. did you make a tutorial?! if so can I have a copy?! Love the strap and your labels. Can you tell me where you ordered the labels from? Thank you for the lovely inspiration and tutorial, I made one for me and a friend! !